Whaaat? Why?! This is bolting. 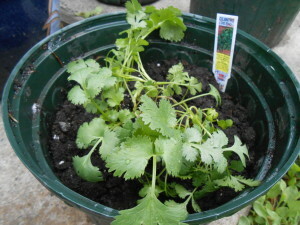 Young cilantro plants start with the wide beautiful leaves you see above. 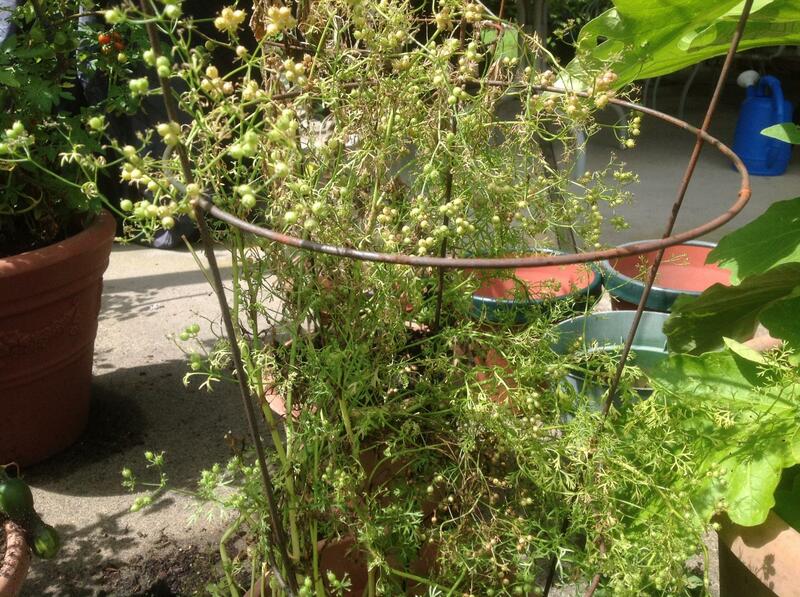 As the plant grows and the weather gets warmer, the cilantro becomes tall and white flowers appear. Once this happens, there is no going back. 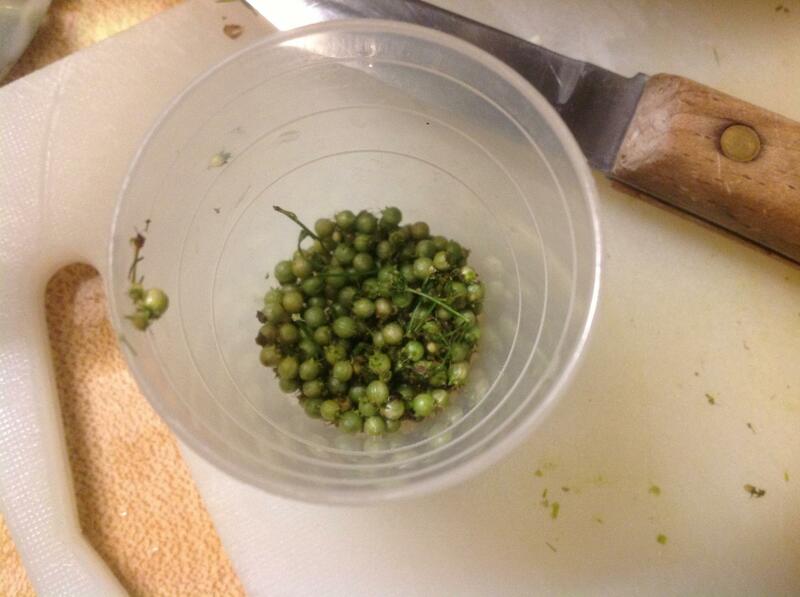 The fat flavorful leaves disappear, flowers grow, and cilantro seeds appear. The good news? All is not lost when this happens. Fun fact: Cilantro is actually two spices in one! Do you see those little seeds? Once they turn brown, they become the spice coriander! Who knew! Coriander is often used in Asian, Indian, and Mexican cuisines. 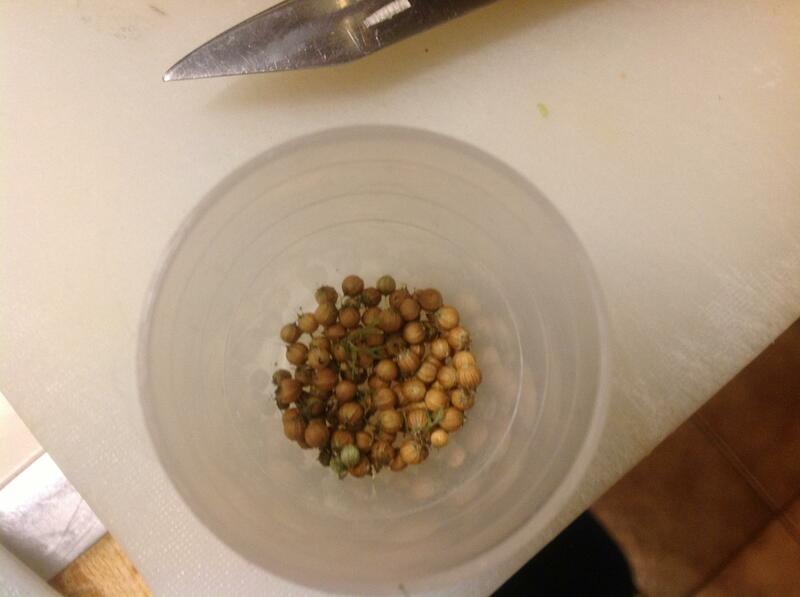 You can pick the seeds when they are green put then in a cool dry place. Once they dry and turn brown, you have coriander! It took about 3 days for the green seeds to become brown. So how do I remedy this? 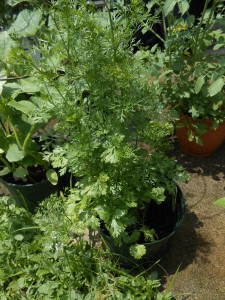 How do I keep my cilantro from bolting next time around? Well, it is impossible. Cilantro, like any living thing, has a life cycle. It will always bolt and create seeds to reproduce. 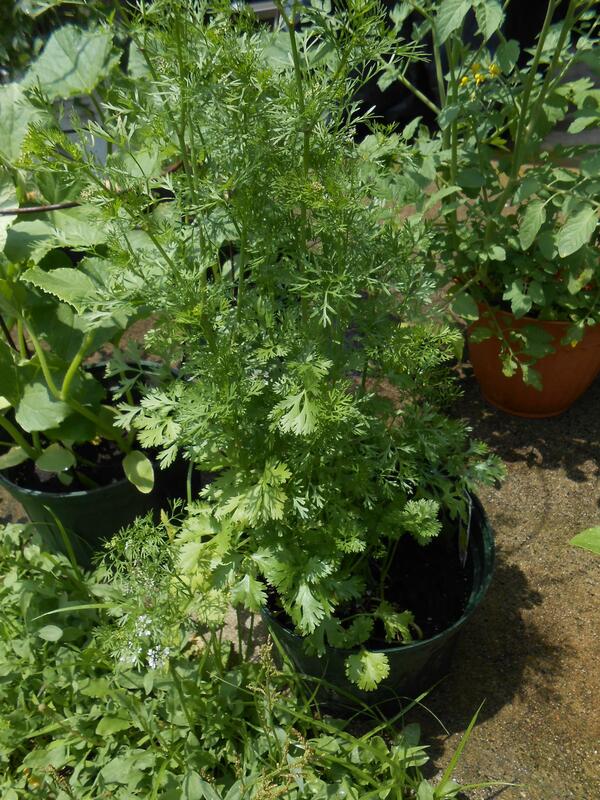 – Cilantro grows best in cool, moist conditions. Hot weather supports bolting and ends the life of you plant quickly. – Practice succession planting: plant new seeds every 1-2 weeks so as one plant bolts, another will be ready with succulent leaves. – Plant cilantro during cooler weather: early spring, late summer, and early fall. – Harvest your leaves often. The more you harvest, the more likely you will nip immature flowering stalks. – Mulch, mulch, mulch! Hot weather does not cause cilantro to bolt as much as hot soil. 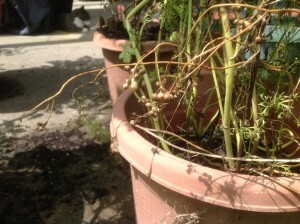 If you insulate your soil during warmer weather, you’re cilantro might last longer!